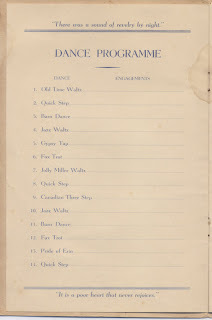 Each week American family historan and geneablogger, Jana Iverson Last, publishes as a Follow Friday activity a list of Fab Finds consisting of blog posts she sees as worthy of mention. 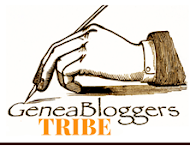 Randy Seaver, a genealogist and geneablogger from San Diego publishes a similar list, Best of the Genea-Blogs. While liists such as these are subjective they are most valuable in directing those interested in reading and learning about family history to interesting and topical posts. To be recognised by one's peers in such a list is always an honour, I get such a buzz when one of my posts is selected. While I don't blg for accolades I am trilled to be recognised. 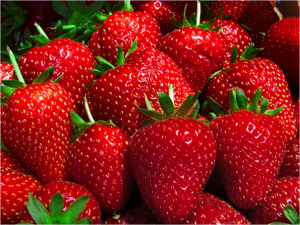 Added advantagesare that new readers are directed to my blog and Australian geneablogging exposed to the world as a result of these shoutouts. Needless to say that I was overwhelmed to find that two of my posts, Thinking of 9/11 AND In Praise of Indexes, were included in this weeks Fab Finds from Jana. Thank you Jana for this honour and thank you for all the time and effort you put into your Fab Finds posts. Sifting and sorting through a box of filing yesterday I was faced with a small booklet with that June date printed on the cover. As June 28 was only a day away I investigated further and found that it was one of my mother's mementos. A timely find for a blog post today. 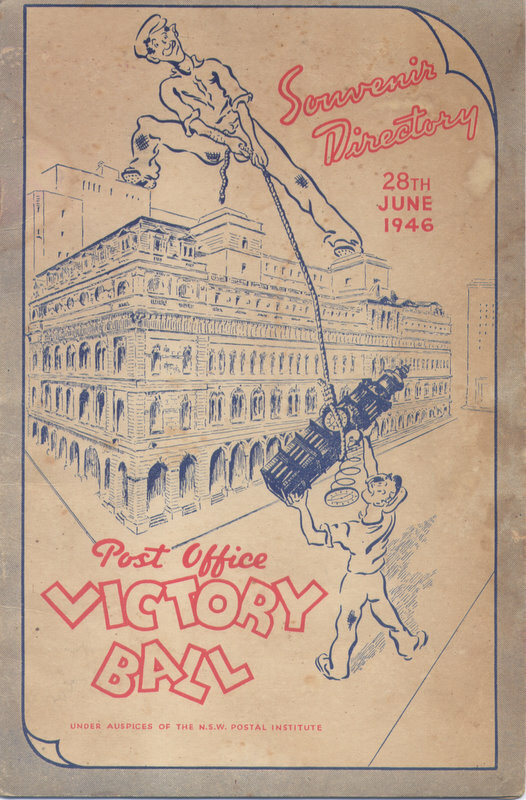 During the Second World War and until she married Mum worked as a telephoniste at The GPO (General Post Office) in Martin Place in Sydney. It appears that she had a busy social life with her workmates and tribe of sisters. 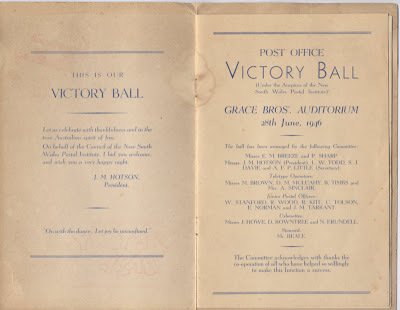 They attended many functions organsed by The Postal Institute. 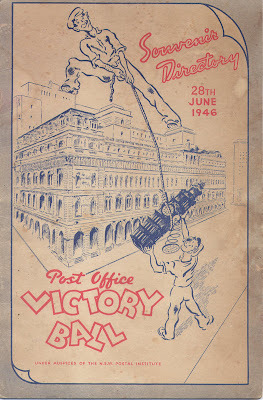 The booklet I had found was the cover of the souvenir program for The Victory Ball organised by the Postal Institute to celebrate the end of World War II that my mother had attended along with some of her friends. Checking out the autographs, written in pencil and now faded, on the back cover of the program I saw some familiar names. Roma Bannon was a country girl who boarded with my mother's family in Sydney. Until her death she remained a close friend of my mother's and was a treasured member of our extended family. Arthur Johnson was another boarder from the country who lived in my grandmother's crowded house at Kensington. Arthur boarded with my grandmother for around 30 years until she became too feeble to manage a home. Kath Tuohey a friend from my mother's hometown, Cobar, is still a friend of my mother's today. I would be surprised if some of Mum's sisters were not at this event but their names so not appear in her list of autographs. 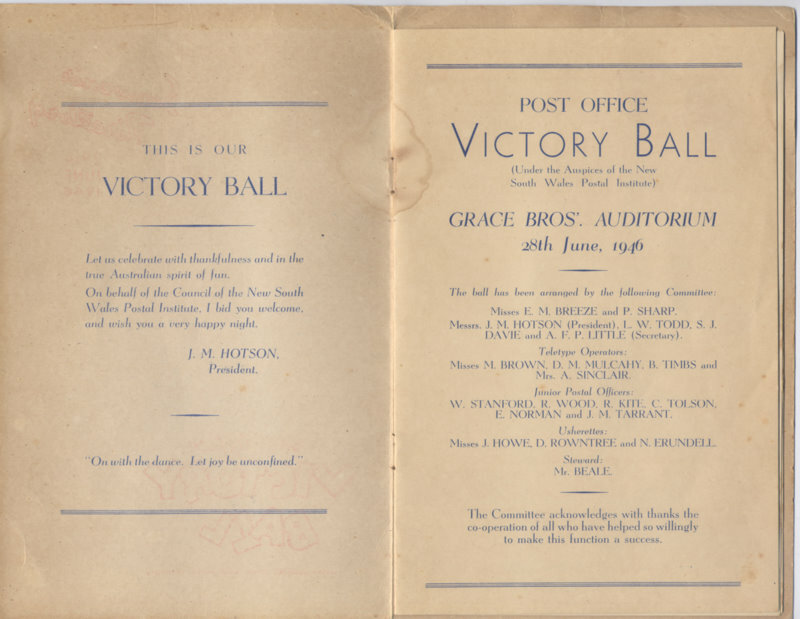 The inside cover and first page of the program contain a message from the President of The New South Wales Postal Institute, J.M. 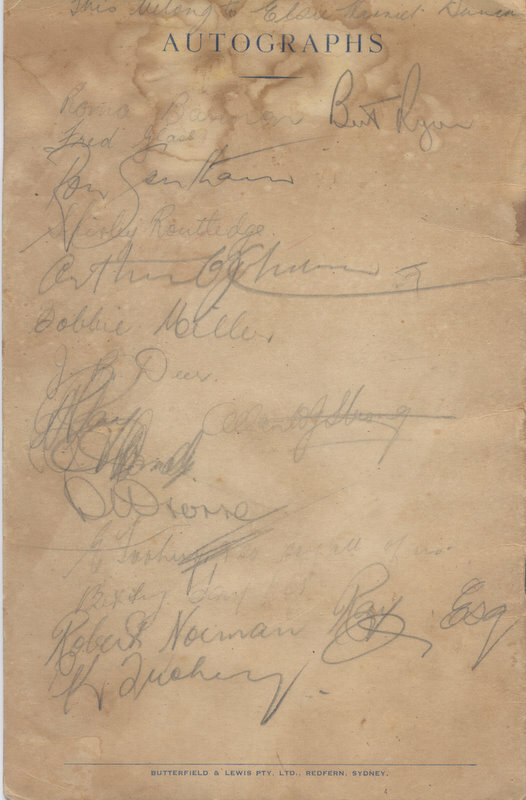 Hotson and a list of committee members. The venue, The Grace Brothers Auditorium, was part of the flagship Broadway store of the Grace Brothers retail empire. It was a major venue on the Sydney social scene. I remember attending children's birthday parties and seeing Santa at the grand Christmas display there as a youngster and, as a young adult, I enjoyed a number of balls there. The store was closed in 1992 and reopened as a shopping and cinema complex in 1998. 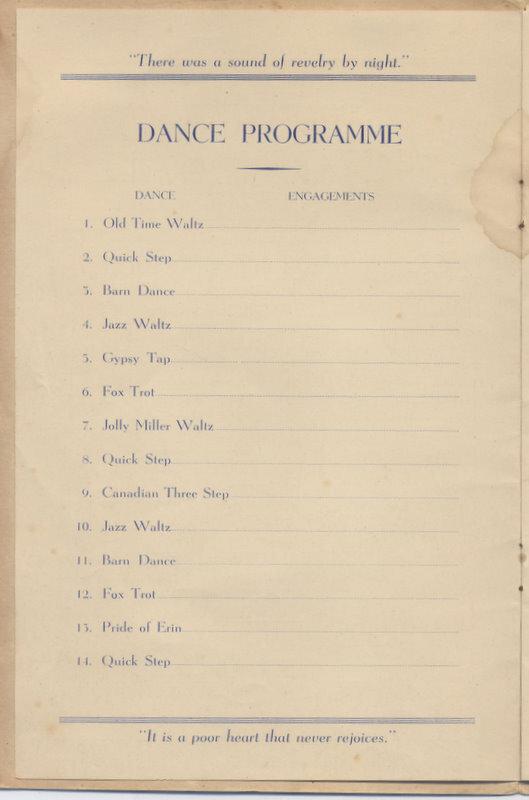 Although my mother's dance program is empty I am sure that she did not miss a dance. She still enjoys a twirl round the dance floor whenever the occasion presents itself. Lost patrners will be locked up in the Drunk Exchange until called for. Last clearance at 1 am. I responded "Don't give up.I think we need to get into the habit of giving plusses to acknowledge posts of interest to us. I think that only a small number of those in our circles read posts religiously. 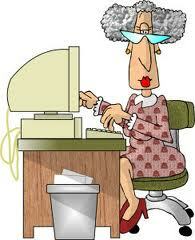 Even if I only get a couple of +'s I feel that my posts have been useful and when I get comments I am really chuffed." After dashing off that comment on my phone I reflected on my social media accounts and the Likes, Comments, Plusses and Shares they get. I blogged in 2010 about how I think Blogging is a two way street, this holds for all social media. Social Media platforms are tools for communication and collaboration, but the communication should be two-way, those who do not avail themselves of these features are missing out on some exciting opportunities to connect and learn. My experiences with Google+ are similar to those of my genealogy contact, sometimes my posts get no plusses, comments, or shares. I wonder if anyone out there is actually reading them! I hadn't before considered using the +1s and comments I get on my Google+ posts as an evaluative measure of the things I post. I feel that a post is successful if a couple of people give it a +1 this indicates to me that they feel the content has been worth posting or that they have simply read a post , if they comment then I feel that they really value what I shared or they want to connect, if their comment adds an opinion or extra information then I feel that my goals for posting have been well and truly fulfilled and if they share it then I think that is is also very worthy. I am not sure whether monitoring these is a valid measure because I believe many people read without acknowledging the value of a post to them. I am going to take more notice of the way people react to my posts on Google+ and try to work out which subject matter is causing a reaction from my contacts. I have over 700 people in my Google+ genealogy circle. I wish I could see how many people are actually reading my posts as I would hazard a guess that only about 10% of these people are active plussers who read most of the posts directed to them. I think only about half of these regularly acknowledge that they have read a post by plussing or commenting. The remainder of those in my genealogy circle may have joined Google+ for other reasons so never really read the posts that are directed towards them. Have I got it all wrong? What percentage of posts in yor stream do you read? Do you regularly hand out plusses and comments? What are your criteria for giving plusses and comments? Do you feel that most people miss the point about two-way communication via social media? Should my genealogy contact and I give up on posting? The other evening I was doing some research as I watched Wimbledon on the TV. I was chasing up Mr GeniAus' aunt, Joan Gowans, who left an estate of $1,000.000 in 1899, I think that would have been a fair stash back then. I found her death and funeral notices in The California Digital Newspaper Collection whch told me that she was buried in Odd Fellows Cemetery in San Francisco. After a bit of digging around I found that the cemetery records had been digitised by Familysearch but they were not indexed. 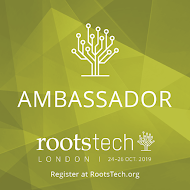 This means that one has to trawl through many screens to find a record; it is just like using microfilms.How much more accessible this and many other Familysearch records would be if they were indexed. It took me about twenty minutes of negotiating through several record sets before I found Joan's burial. I realised rather guiltily that I had never done any indexing for Familysearch yet I have used their online indexes extensively. With my well documented lack of keyboarding skills I was also concerned about contributing accurate records to Familysearch. As I was to be home the next morning I tuned into DearMyrtle's Wacky Wednesday Hangout on Air to find that the topic for the Hangout was Familysearch Indexing. During the program Myrt demonstrated how to log in to Familysearch, sign up for indexing, download the indexing software, set it up, do some indexing and upload your work. It didn't look too difficult at all. After the Hangout was over I was home alone and it was peaceful so I loged into my Familysearch account, followed Myrt's instructions and completed two batches of indexing. The contribution I made was just a drop in the ocean but I felt that, in some small way, I am saying thankyou to Familysearch for all they do. If you have ever contemplated doing a spot of indexing for Familysearch I encourage you to give it a go. But first watch the Hangout that I have embedded below. The Gowans clock saga goes on! I reported recently that we had now found five clocks made by Mr Geniaus' ancestor, James Gowans, fondly known in the family as James the Clock. 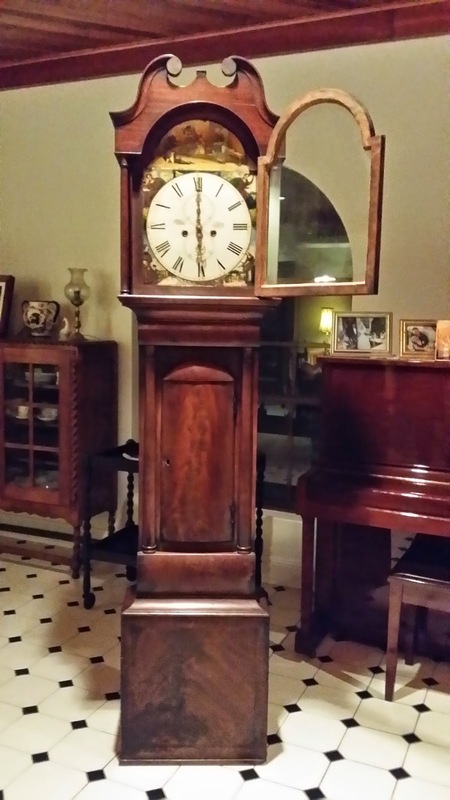 The fifth clock that we recently purchased from England arrived downunder last week four months after we purchased. it as it had to travel here by sea. We have since been in contact with the lady who sold the clock. Part of a deceased estate it had been in her family who lived in Galashiels (where James Gowans resided and worked) for quite some time. My son and daughter-in-law who will be the custodians of this new family treasure have been around and inspected the clock and are very excited. Tomorrow the clock goes on another journey to the restorer for a clean and tune then it will take pride of place in our son and daughter-in-law's front room. So there is another Gowans clock in Nebraska in The United States, I wonder how it got there. That makes six that we have discovered.. When I told Mr Geniaus he was ecstatic.The problem is that the Facebook post was private so I could not make a comment on the post. I discovered that the chap who made the comment was named Drew Sullivan so I have sent him a messge via Facebook asking if he would be able to send us a photo of his clock. As this message will go into his other messages folder which he may not check too often (I know I don't check mine regularly) we may not get a response for a while. Do you happen to know Drew Sullivan from Omaha, Nebrska? Instead of writing a blog post about Lifelink a new resource for New South Wales I decided to do a Google Hangout in which I demonstrated the product and made some comments about it. When I viewed the video I discovered that the quality was not too good with the video cutting in and out and some parts of the audio being unclear. I am still posting it as it may be useful for someone and it may engender some conversation. It's winter school holiday time for some of my grandchildren so that means that we get to see them a bit more then when school is in session. That means that those who live far away will come and visit for a few days and those that live closer will pop in for morning tea or lunch and a play. In fact I have just waved three off after a lunchtime visit. I was wondering what I could find on Trove on the joys (or otherwise) of these visits and hit the jackpot with this collection from The Australian Women's Weekly that have been written in response to an earlier article. As one does when one has a spare hour I have been working on the family database today and seeking sources for a branch of the tree that was sent to me by a cousin several years ago. I found an obituary (via the Ryerson index) for my Dad's second cousin's husband's death last month in the Sydney Morning Herald, I observed that his wife (Dad's second cousin) is still alive and I saw that his eldest son, my third cousin had been noted as deceased. Checking my database I saw that this death was noted as taking place in 2001 but that it wasn't sourced (as was the whole tree branch I was given). My next step was a Google search for my cousin's name, Stephen Kevin Tompsett, just to see if I could find his death date. I was rewarded with more than a page of hits that sent shivers down my spine. Stephen was one of the ten Australians who lost his life in the September 11 terrorist attacks at The World Trade Center, New York in 2001. As I read through the various reports of Stephen's terrible end I felt so sad for the victims of this senseless attack and the families they left behind. It has been a very sober afternoon. I won't summarise or paraphrase the articles I found about Stephen and his family, I will post a list of links (all accessed today) to several so that those who wish can read about my third cousin. When I visit the 9/11 Memorial in New York laer this year I will be thinking of this amazing cousin I never knew. While I was away my young geneablogging mate Caitie wrote about her new purchase the "A sentence a day" journal from Kikki K. I thought that I would like to have one and made a note to look for it on my return home. The promotional blurb for this item says "Put pen to paper to complete a simple prompt each day of the year for three years. Without even noticing, you'll capture unique insights into your life, realise change and growth, and create a keepsake you can look back on for years to come. A unique keepsake journal for yourself, and a gorgeous gift for any loved one." Yesterday I parked my car in the section of the carpark that took me right past a Kikki K store so I looked in and there on the table with the sale items was a bundle of "A sentence a day" books for 30% off. These sturdy little books are available in store or online for 17.47. I don't know that I will write in my new book but I will use the prompts and try to write a sentence each day - surely I can manage to write at least that much! I may record my sentences in Evernote or on a spreadsheet that I can merge with my diary but first I will have to remove the shrinkwrap from my purchase. DearMyrtle mentioned the value of videoblogging in a blog post earlier this week so I thought that I'd give it a go and record a short video outlining my activities over the past ten weeks. Post Script: My mate Audrey Collins' official title is Records Specialist - Family History in the Advice and Records Knowledge department at The National Archives in Kew. Audrey's blogs at The Family Recorder. 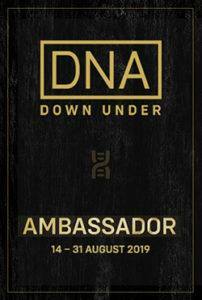 Having just returned from a long journey in which I visited many foreign lands where I learnt so much about people, places, history and culture I wondered what other Australian saw as the benefits of travel. Although I neglected my genealogy research while I travelled I am sure that what I learnt along the way will help me in my family history activities. You may or may not know that I keep in a page on this blog a record of my genealogy related learning activities. I previously explained in a post from 2011 why I keep this CGD Learning Log. I have recently taken a ten week break from more formal learning while travelling around the globe and visiting with Mr Geniaus many of the places on our bucket list. 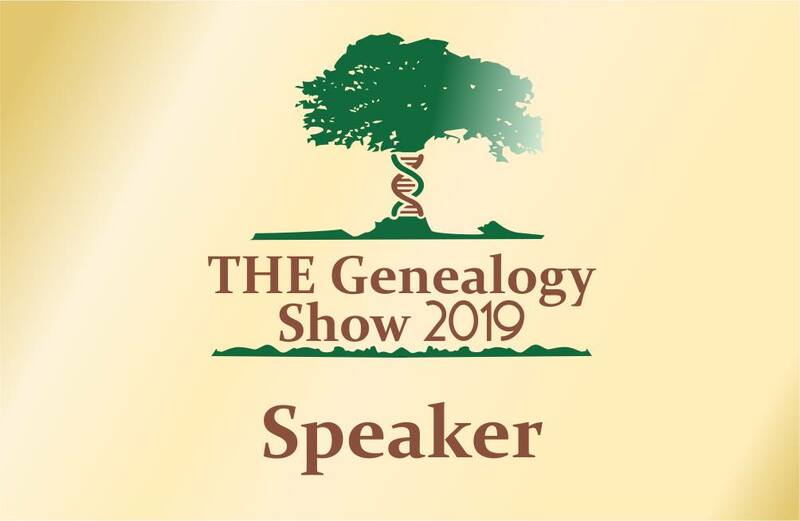 During this time I tried to keep up with happenings in the genealogy world and to conjure up a blog post now and then. I have not, however, save for a few visits to repositories in the UK been a diligent old researcher or learner. For my first learning activity after my return I watched a Hangout on Air by two of my fave genealogists, Pat Richley-Erickson (aka DearMyrtle) and Russ Worthington. In this video which is now available here on Youtube Pat and Russ explain the importance of having a profile on Google+ that will allow others to recognise you as a person with shared interests. If you are a Google+ user and wish to tweak your Google+ profile I recommend that you watch this video. If you are not a Google+ member it is time you joined up. A couple of years ago I was contacted by The National Library of Australia asking for permission to archive this blog in The Pandora Web Archive. I put the email aside to deal with later and promptly forgot about it. When I was approached again earlier this year I acted immediately and gave the library permission to archive my blog. I am thrilled to have been chosen for the Pandora Archive. I've been playing tourist ofr the past few weeks and taking a sabbatical from family history. Being in Liverpool this week I have been thinking of our ancestors who left this port on the River Mersey to make new lives in Australia. Today I visited the Merseyside Maritiime Museum in Liverpool to have a look at their exhibitions which included one on emigration from Liverpool and one on the Titanic. I didn't spend as much time looking at the exhibitions as I had intended because I saw the sign below and I just couldn't go past. I packed Mr Geniaus off to see some of the other exhibitions and wandered into the library. 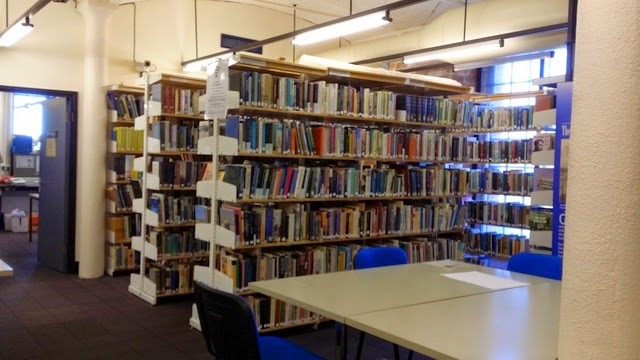 The friendly librarian told me that the library held in its collection of books, documents, maps and images materials relating to emigration from Liverpool As it happens quite a few of our ancestors set off on their journeys to Australia from Liverpool. I couldn't remember the names of the ships our ancestors had travelled on from Liverpool and was frustrated that I didn't have my laptop in my bag. Luckily the Museum has free wifi so I was able to access my online tree and identify the ancestors and their ships. I stumbled across the library at 4:00pm, just 30 minutes before closing time. In that 30 minutes with the help of the librarian I was able to find information on four of our ancestor's vessels (3 of which were of The White Star Line). The best find was a photo of SS Ayrshire on which Mr Geniaus' Grandmother, Harriet Parkinson, travelled to Austalia in 1910. 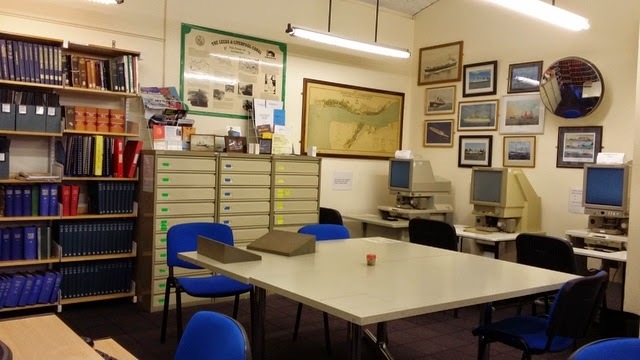 I was thrilled with my finds but, as I have quite a few more ships to research, I am frustrated that the library is not open again until next Tuesday after I have left Liverpool. I may just have to return to this city and institution on a future journey. - Details about author talks.